Posted in: Radio Control, RPM, Traxxas. Tagged: New Releases, RC, Upgrades. 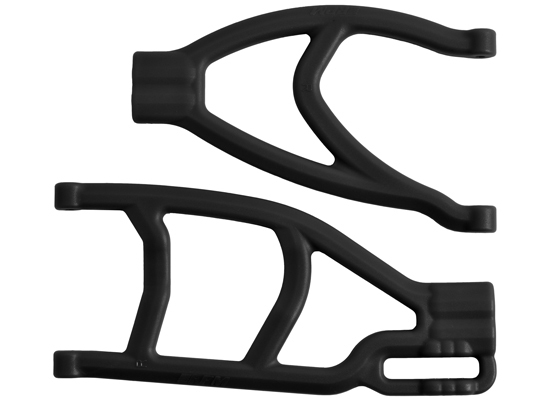 RPM have received numerous requests for a set of extended rear A-Arms to fit the Traxxas Summit and Revo and due to that, RPM delivered. The A-Arms are made with the same lightweight and durable technology as their popular Revo design. They should be in stores April 8, 2014 with a MSRP of $14.95 a side. Check out RPM Extended Rear A-Arms for more details.